In this day and age, cash seems to have become an old fashioned method of payment, and every man and his dog now have a credit card. But with credit cards, comes the almost inevitable snowball of debt, growing bigger and bigger with every unwise move you make. So how do you spot these unwise moves before you land in debt? Your credit card should never be used for basic needs such as food and gas. You should have enough wages left to cover these purchases and resorting to your credit card is a sign of financial trouble. Budget your money and live within your means. With credit cards, this is the epitome of the snowball effect. The more purchases on your credit card, the more you’re charged in interest, the more interest, the easier it is to fall behind on payments and your debt will continue to increase! Budget how much you can afford to use on your credit card, and leave it at home once you’ve reached this amount. Having to fork out for major and unexpected emergencies can really prolong your debt, and become quite hard to pay off. Everyone should have an emergency fund they can rely on in emergency situations, and it’s easy to start one by just putting a small amount of your wage away each time you’re paid. This could save you big time in a financial emergency, not only from the headache, but also a lot of money in interest. It is important to prioritise your payments, but missing payments altogether is never wise. You’re already in trouble if you’re having to skip payments to cover others. Not only will this increase your debt, but it will also damage your credit. Always discuss your situation with your creditors and avoid leaving them in the dark about paying, they are more likely to offer you options this way. Everyone dreads receiving bills, but it is important to stay aware and on top of your situation. The longer you leave your bills, the more debt you’ll end up in. The sooner you take responsibility, the sooner you can begin to minimise your debt before it spirals out of control. Overdue accounts are one of the first steps of the descent into credit card debt hell. Whether it was an emergency that left you unable to pay, or you simply forgot, it’s imperative to get on top of payments to minimise debt and damage to your credit. The more overdue they become, the harder it is to bring them back to date again, so it’s worth dipping into your savings (not your emergency fund) or budgeting extra money from your wages to cover this. There is no excuse for having no plan to pay back your credit card debt. If you’re not actively focusing on paying back your credit card debt, you will struggle to get on top of your debt. You could even end up repaying for years, instead of having an effective strategy to tackle your debt. There are handy resources to help you plan make a plan, such as Sorted’s debt calculator https://www.sorted.org.nz/calculators/debt. 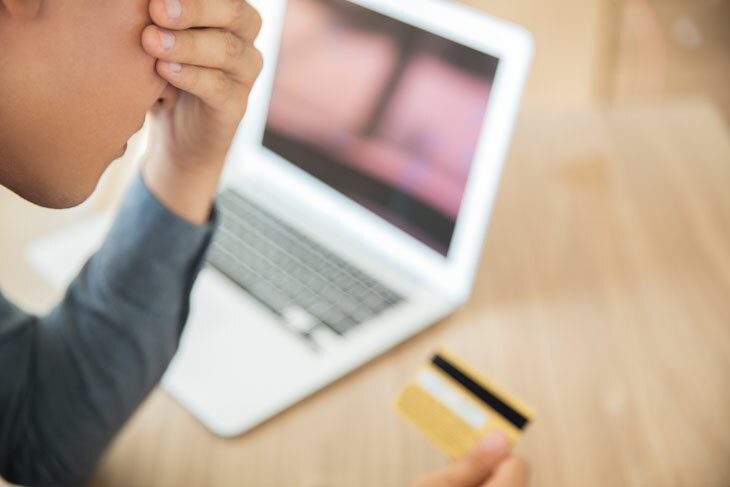 The common mistake people make with credit cards feeling like they deserve and can afford the expensive items without having saved or earned the money themselves. Not only will this make it a lot harder to stay on top of things, it sets you up for a pattern of bad spending habits. Being content with the lifestyle you can actually afford, is not only good for your bank but your own life satisfaction as well. Prioritise having a realistic view on your own self-worth based on you, not your possessions.